Dr. Zalmay Khalilzad, former U.S. ambassador to the United Nations, Iraq and Afghanistan, will speak at the Center for the National Interest in Washington, DC, on April 12, 2016. That talk is a part of the rollout of his new book, The Envoy: From Kabul to the White House, My Journey Through a Turbulent World. Khalilzad spoke at the Center for Strategic and International Studies (CSIS) on March 31 in an event moderated by CBS Anchor Bob Schieffer, and an event was held for Khalilzad at the National Endowment for Democracy (NED), with President Carl Gershman as moderator. These occasions are a testimony to the quality of the book, the respect Khalilzad commands from his colleagues, and the relevance of The Envoy for the future of American foreign policy in hot spots like Afghanistan and Iraq. Khalilzad has had a remarkable career in public service—all the more so after having grown up in northwestern Afghanistan. In addition to three ambassadorial posts, he has also served in senior positions in the State Department and the Defense Department. Earlier, he taught at Columbia University after earning a Ph.D. from the University of Chicago. His new book combines autobiography with sophisticated insights into some of America’s greatest foreign policy challenges in recent decades. A few hours after the announcement, Bush called Khalilzad, stating, “We all love you, Zal. We think the world of you.” Khalilzad politely replied how he appreciated the compliment but did not understand why the administration was shifting plans, from one to devolve power as quickly as possible to the Iraqis, to one that would amount to being an occupying force like the one that had ruled Japan after World War II. According to the president, as told by Khalilzad, the problem was that if both Bremer and Khalilzad went to Baghdad, Bremer would be reporting through the Department of Defense to Donald Rumsfeld, and Khalilzad would be reporting through National Security Council Advisor Condoleezza Rice. Because Rumsfeld and Rice were not working well together, one could not have two senior officials in the field responding to principals in Washington who were at odds with each other. The president needed the Department of Defense to be in the lead, and that meant Bremer. The bitter irony is that Rumsfeld describes serious problems in Bremer’s reporting among the White House, State and Defense during the time Khalilzad discussed his disappointment with the president’s decision. So despite the president’s wish to resolve a problem before it arose, his solution did not have the desired effect. Brent Durbin states, “Perhaps the most-abiding concept from the bureaucratic politics model, and the shorthand many have used to define it, is that actors will pursue policies that benefit the organizations they represent rather than national or collective interests. This idea, that ‘where you stand depends on where you sit,’ is often called Miles’s law after the Truman-era bureaucrat who coined the phrase.” Bureaucratic politics often serves as a counterweight to realist theories about decisionmaking. To facilitate regime change from within Iran, it is critical to remove the terrorist designation from the MEK, and to protect and resettle its members. To bring about regime change from within Iran requires a dissident organization with the kind of leadership skills that helped create a coalition to overthrow the shah of Iran. Only one viable group that rejects clerical rule in Iran remains from the days of the Islamic Revolution – the Iraq-based Mujahideen-e-Khalq, the largest group within the National Council of Resistance of Iran (the Paris-based parliament-in-exile ). Although primarily based in Iraq and France, both groups exercise considerable influence within Iran. In a study of several formal Iranian opposition organizations during 2005, the Iran Policy Committee concluded that the MEK and the NCRI have the expertise and means to join and lead a coalition for political change in Iran; and in a follow-up study, the IPC found that despite the law and facts, these two dissident groups were hampered from doing so because of being tagged as terrorist organizations by the U.S. Government. In addition, the terrorist tag harmed the ability of the MEK and NCRI to collect intelligence on the Iranian regime, information that had been instrumental in bringing about international inspections and sanctions. Indeed, during August 2002, the NCRI reported the existence of a secret nuclear facility near Natanz. An independent think tank, the Institute for Science and International Security, confirmed the revelation, identified the site as a uranium enrichment facility, and that December, released imagery of Natanz. 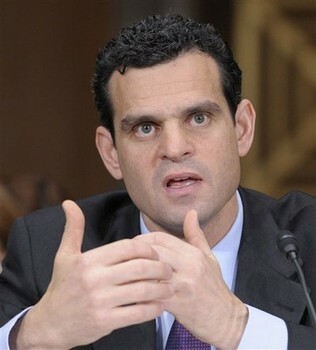 On 3-4 June 2012, David Cohen, the U.S. Treasury undersecretary for terrorism and financial intelligence, was in Israel, where he discussed additional sanctions against Iran with the heads of both the Mossad and IDF Intelligence. On 8 June, UN nuclear watchdog agency chief Yukiya Amano met in Vienna with Iranian representatives to negotiate access for inspectors to a suspect nuclear site, but such talks failed to reach agreement and reinforced the need for sanctions to coerce Tehran to negotiate seriously. The Cohen and Amano visits highlight the nexus of inspections and sanctions. Considering the continued blacklisting of the MEK (and NCRI), it’s worthwhile to examine essential aspects of the organization: its ideology, support within Iran, and how the group relates to Israel. In IPC research, we have interviewed most of the MEK leaders in both Iraq and France, as well as analyzed their foundational statements and documents. We determined their positions to be consistent with democratic principles. Tehran seeks to delegitimize and link Israel and the MEK, partly because both are committed to the rule of law rather than reign by unelected clerics. We found that leaders and rank-and-file of the MEK support a two-state solution to the Palestinian problem and Israel’s right to exist. In contrast, other dissidents have called for the annihilation of Israel, as well as preservation of the nuclear program. Abroad, no other dissident organization can mobilize similar numbers of expatriates at its rallies. (See two references to the work of Daniel Pipes below this post.) On June 23, MEK supporters will hold their 9th annual rally in Villepinte, France. The event regularly draws upward of 80,000 supporters, including many Arabs, Christians, and Jews. Back in Iran, the disproportionate number of summer 2009 protesters arrested, sentenced to death, and hanged because of their association with the MEK also indicates the organization’s significant presence on the Iranian street. And the vast majority of an estimated 30,000 political prisoners massacred in summer 1988 belonged to the MEK. Risking one’s life to divulge highly classified intelligence is a clear indication that even in the most sensitive field of national security, there are MEK supporters. The IPC conducted a content analysis of references to all formal Iranian opposition groups in regime media during 2005, in both Farsi and English. The team found that state-run media paid 350 percent more attention to the MEK than all other organizations combined. And yet, since 1997, the MEK has been on the list of foreign terror organizations compiled by the State Department. The designation almost paralyzes a group that operates openly, and makes it illegal for U.S. citizens to provide it with material support. The more recent roots of this ongoing aberration go back to the summer of 1997, when a “moderate” cleric, Mohammad Khatami, was elected as Iran’s new president. The Clinton administration saw inclusion of the MEK on the terrorist list as a goodwill gesture to the new regime, with which it was hoping to open a dialogue. On June 1, 2012, the U.S. Court of Appeals in Washington informed the State Department that it had until October 1 to make a decision on the status of the MEK; otherwise the court would order its revocation from the list. The Department can be expected to allow that full period to pass to delay delisting out of a desire to keep alive the moribund nuclear talks with Iran, which threatens to end talks if the MEK were delisted. To facilitate regime change from within Iran, it is critical to remove the terrorist designation from the MEK, and to protect and resettle its members who are under constant attacks and threats from Iran and its proxies in Iraq. The Iranian people, as well as Jerusalem and Washington, all have an interest in empowering the Iranian opposition. The current policy does just the opposite; it empowers the regime in Iran. Prof. Raymond Tanter served on the senior staff of the National Security Council in the Reagan administration, and has been a visiting professor at the Hebrew University of Jerusalem. His most recent book is “Terror Tagging of an Iranian Dissident Organization” (Amazon Kindle).